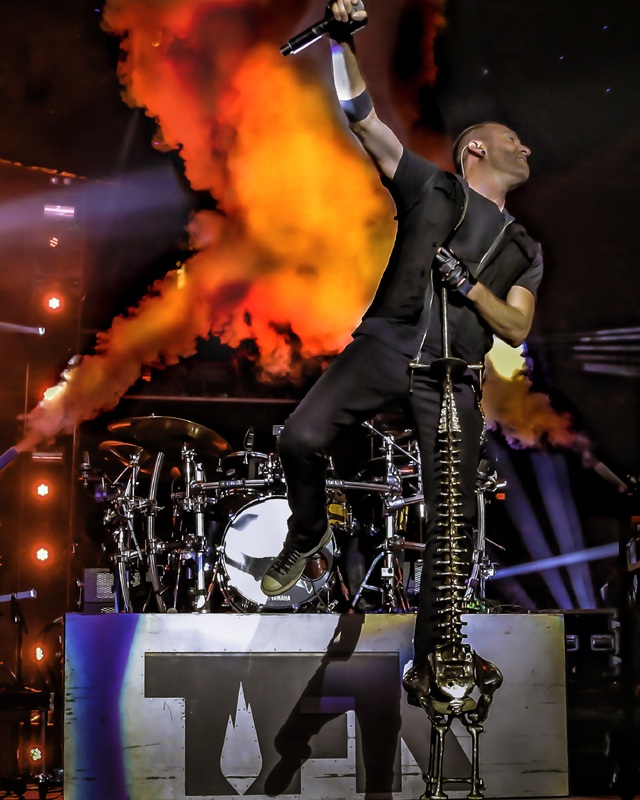 An Interview With The Rock Band THOUSAND FOOT KRUTCH On Their Latest Album and Much More! 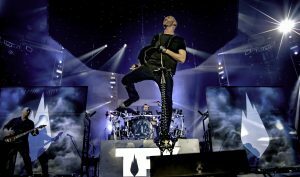 Rock favorite Thousand Foot Krutch packs its biggest hits spanning the trio of independently-released, widely acclaimed albums “Exhale” (2016), “Oxygen:Inhale” (2014) and “The End Is Where We Begin” (2012) into the power-packed, live-in-concert recording, “Untraveled Roads“. 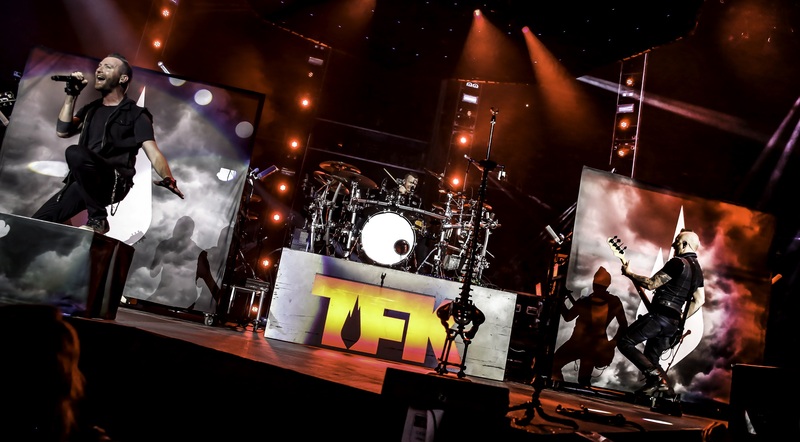 Featuring eight of the band’s last nine Active Rock radio songs, the 12-track album was released independently worldwide on September 15th on TFK Music and with management, marketing, sales and distribution through The Fuel Music. 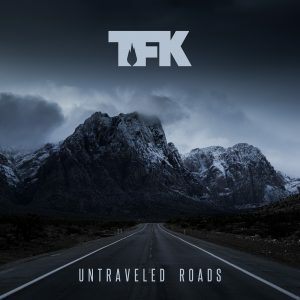 TFK band members Trevor McNevan (lead vocals/ songwriter), Joel Bruyere (bass) and Steve Augustine (drummer), along with tour guitarist Andrew Welch, deliver a raw, stadium-shaking live experience on “Untraveled Roads”. 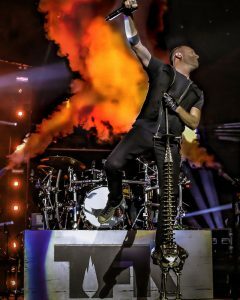 The album was recorded during this year’s 46-city Winter Jam Tour Spectacular, the fourth largest first quarter tour in the world (Pollstar) that was attended by nearly 500,000 people. “Untraveled Roads”, the first live album from TFK since 2011’s “Live At The Masquerade”, represents a season of significant success for the band. With hits like, “Courtesy Call,” “Running With Giants,” “War Of Change,” “Push,” “Untraveled Road”,(lead single and video) “Let The Sparks Fly,” “Born This Way,” “Light Up The Sky,” and “A Different Kind Of Dynamite”, the album well-represents the band’s last three indie records that have already garnered over 500,000 albums sold, more than two million digital downloads and more than 300 million streams. Thank YOU! Currently, in my hometown Peterborough, Ontario, Canada. We listen to everything, honestly, pretty much appreciate most genres, a good song’s a good song! They’ve both been great, but the biggest difference would be writing/recording/releasing the “EXHALE” album in 2016, and touring it for 2017. I also had a daughter on the same release day! We’ve all been playing music from a very young age, not together, but on our own. The band name symbolizes the support system that our faith is to us. Our faith is our lifestyle, it’s who we are. I always like to ask artists how their hometown has been an influence on the kind of music they make and really what kind of a band they are today. So how do you think your hometown has affected you and the music that you create? What is the music scene like there these days? My hometown (Peterborough, Ontario, Canada) has always had a great local music scene. When we were coming up, there were SO many bands around town. I was drawn to hip-hop early on, and our local radio station was classic rock, so both of those things have always bled into TFK in different ways. From what I can tell, the scene is still great here, lots of variety! featured on it? Why did you first decide to release a “Best Of” from your last 3 albums this time around? After playing the first few shows of the tour, we started thinking about the fact that we haven’t released anything new on the “live experience” side since 2010 with “Live At the Masquerade.” So we wanted to commemorate the last 3 independent albums by celebrating it with a new live album & videos. I read that this album was recorded during your 46-city Winter Jam Tour Spectacular which was the largest first quarter tour in the world! It was attended by a whopping 500,000 people?! That’s insane! What was that experience like for all of you? How do you think this album really captures all of that energy? The tour was amazing! We had a blast, and always love connecting with people out there. I think this live album authentically captures the energy & personality of the band in a way that is hard to capture in the studio. I’m really happy with how it came out. We’ve been excited to share it! Did you get to appreciate these songs in a different way in the making of this album? How so exactly? It’s always amazing to see how songs go over live, and what moments surprise you. Every night is a different animal that way. Where do you think you are all happiest: On stage performing, in the studio recording new music or elsewhere? The live element is a big part of who we are as a band, but writing & recording new songs is always refreshing and inspiring as well! With the summer being just about over, what was your favorite part about it? What was something fun this group did or tried? We actually took our first intentional break off the road in 20 years. So it’s been amazing, being at home, spending time with the family, and experiencing a summer off. We are living in a crazy and at times rough world right now – so I am curious how you think being in this band gives you the most joy in life today? Do you think that new music being created today is going to reflect these hard times? I think it’s important to do what you love, and so we feel very blessed to do what we do, and love & enjoy every day we get to do it. New music always draws on experiences and what’s happening in life around you, so yeah, I think that’s fair to say. We have a bunch of faves, in all different genres – but I’d say Rag’n’Bone Man and Avicii are two of my current faves. A Jay-Z collab would be insane! We want to continue sharing a message of love & hope through what we do. Love changes everything. Is there anything else that you would like to share with our readers about the band or your music? A BIG THANK YOU to all of you for your love & support, and for walking this journey with us!!! We love you, and hope to see you at a show soon! An Interview With The Alt Singer-Songwriter, Producer and Filmmaker, NICK DEAN! Punk Rock Band, NOT A PART OF IT Discusses New Music, Biggest Musical Inspirations and More!